Sometimes good ideas go south; in this case, I did a quickie video for the SQ-1 Soft Hacking article I did for Cycling '74 (https://cycling74.com/tutorials/soft-hacking-the-korg-sq-1-sequencer), but the image quality was far south of our expectations. So we went with still images for the article, but I thought you might get a kick out of seeing it in action. Messing around with the timing systems really made for a fun alternative course for the SQ-1, and I had a lot more fun doing it this way vs. running it straight. Enjoy, but don't judge me on my videos...! The old school Bass Bot TT-303. Saw this on the local Craigslist, and tossed and turned over picking it up. My friend Tom Hall pushed me to do it - especially at the offer price. Places like RA raved about it, and I had a 303 back-in-the-day that I quite enjoyed (although I would have liked a little more useful I/O). So along comes the chance to pick this up, with its MIDI I/O, it's CV/Gate outputs for the modular, it's quirky editing style along with its updated 'generative' OS - and I went ahead and bought it. I've been playing with it for the last week or so, and I've been plugging it into the Tiptop modular for sequencing fun. Totally weird, and totally lovely. The InstaDJ OS that they developed for this thing is a blast, and is a real dice game during performance - you will get something related to the 'personality' of the slots where you gen new material, but it'll often take you by surprise. Podcast. Surichai. Trash Audio. Fun. Walker Farrell is crushing it on Bandcamp ATM. 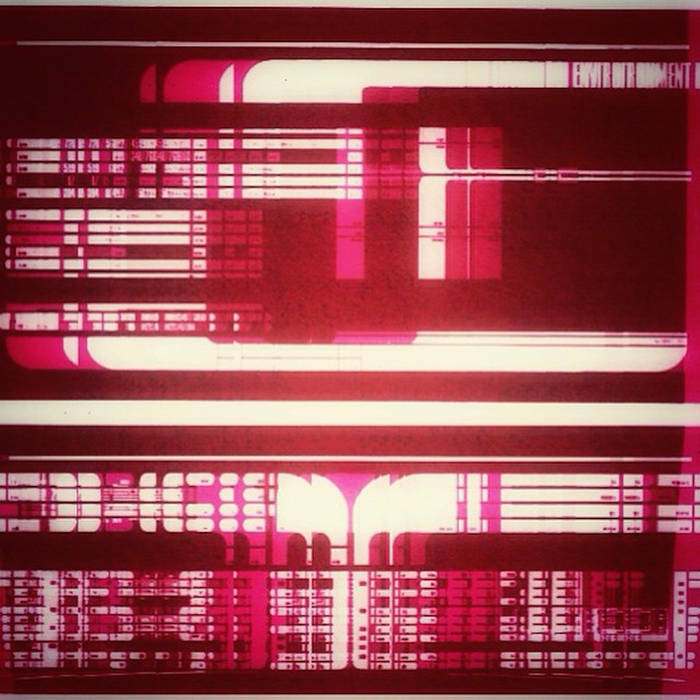 His series of archival releases are really beautiful, and are coming at a furious rate. I've been enjoying them - and I suggest that you try 'em out; his work is all over the EM scene, and draws you in by being sneaky-smart. Here's a quickie video of a little waveform generator I created. I'm a big fan of single cycle waveforms, and was always a big fan of the Adventure Kid Waveforms. But when I got my MPC Live, I wanted to have my own waveform builder, and I reached back into my ancient box of goodies, and reanimated some of the functions that I'd put into the ol' Wave256 editor I created for the Wiard Modular Waveform City. This one is better in a lot of ways: I have a working undo chain (with a few bugs to iron out yet...), and better mix-in wave handling. You can also choose the number of samples per cycles - and you can render either a single waveform, or a two-second sample of the waveform looped. Thanks to my sheetsofsound friends (Andrew and Tom) for their help in getting this to the point where it is. Many plans for the future (can you say wavetables? ), but let's get this one cleaned up first! Well, I guess I had to do it. I'd gotten too complacent about my rig, and especially the 'just plug in the MIDI and wail' aspect of it. Time to shake things up! First up: I ditched the MI Yarns (since I never use the MIDI recorder, and I always want more gates...) and picked up this little thing: the cv.ocd MIDI-to-CV converter. It's a cool little standalone device that gives me loads of flexibility. It doesn't sit in the rack, so I need to remember to take it along with me - but it also doesn't sit in the rack, so I don't have to dump other modules to make room for it! It is also ultra-flexible, with a Web-MIDI-based setup function that makes it a dream to configure for my needs. I got it right before NAMM, and am just starting to play with it. But it seems like a home run to me! This week's Art + Music + Technology podcast is a deep dive with someone that is probably more modular than anyone out there: Todd Barton. 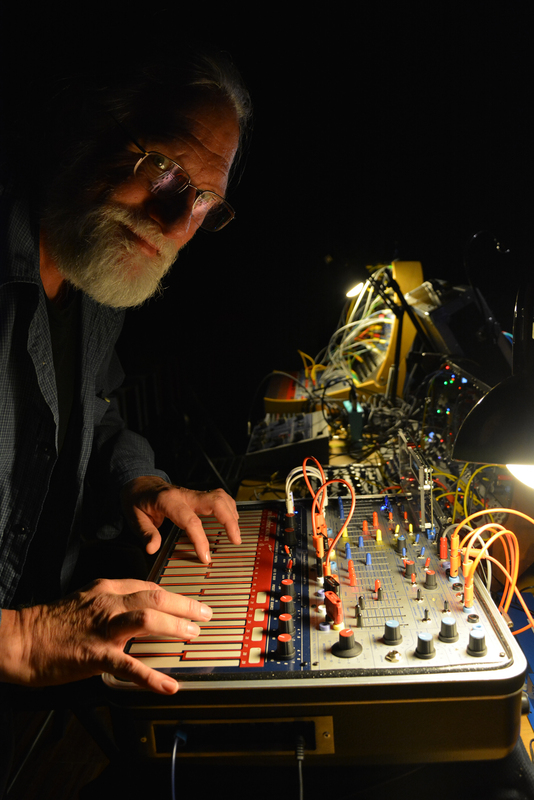 Todd's work ranges from education to live performance, and his blog posts on Buchla, Serge and Hordijk systems are must-reads for anyone interested in those systems. But what I appreciate most is his skill in composition and music creation. His work speaks larger than the systems he uses, and that speaks volumes when those systems are such strong voices. Todd's work opens mental doors for me: I get great ideas by listening to his work and trying to imagine how to develop along similar lines with my own toolset. You can check out the podcast from this link, and learn more about Todd (as well as listen to some of his music) at his website: toddbarton.com. So Akai does this funky thing with their NAMM booth where they have a velvet rope scenario, and only retailers, artists and journalists get to enter. Luckily, I was paired up with my Recording folks, and got to slip in. There wasn't anything phenomenally new, but I did get to have a great talk with a demo dude that verified some things I'd been wondering about. What did I come out with? 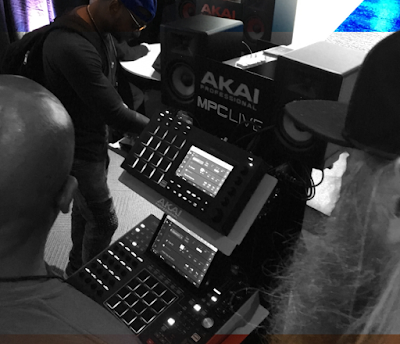 An unnaturally and obscene desire to get an MPC X! Sheesh, I need to sit down and get humble!